competing in an app-based mall scavenger hunt. 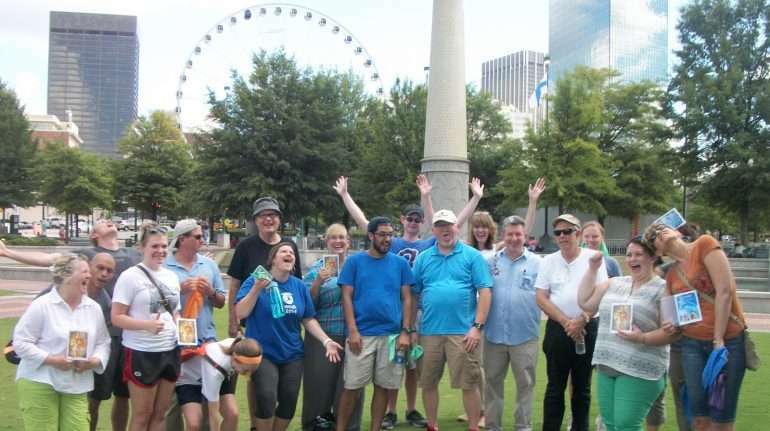 Teams race through one of Atlanta’s spectacular outdoor malls to out score their competition in this fun and fast-paced mall scavenger hunt. Using the various stores, fountains and other features of the mall for inspiration, teams will have blast as they take photos, record videos, answer trivia and find our staff for surprise bonus missions. Finish up at a restaurant for a happy hour together and you have an awesome team building activity day! Welcome & Warm-Ups (5-10 minutes) Our staff welcome the participants to the mall and get everyone ready for a great event. We then lead some fun warm-up activities that also randomly create small teams. 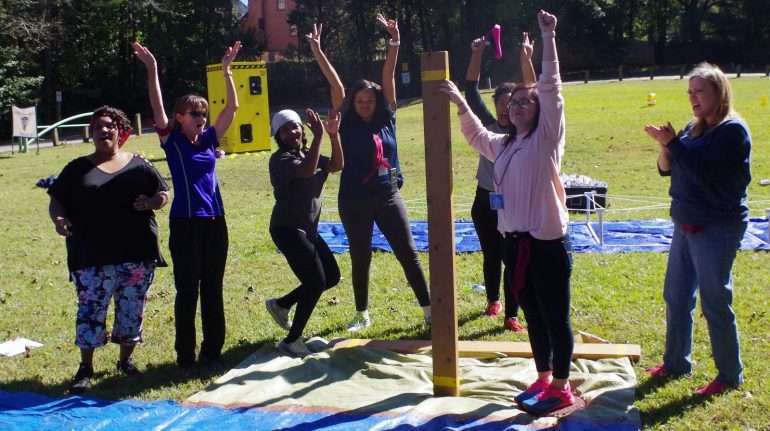 Celebrity Encounters: Whenever teams find an Atlanta Challenge facilitator in the hunt area, they will take a group photo with a surprise celebrity! Brand Awareness: Teams try to find and identify various logos of popular brands around the area. They’ll need to keep a sharp eye out. Photo Fun: An essential part of any mall scavenger hunt, teams find the perfect location and strike their best pose in these fun photo challenges. Mannequin copy cats, window shopping, fashion faux-pas, optical illusions and more are everywhere to be found. Brainteasers: Teams work on this collection of various mental challenges for extra points as they travel, which ensures that everyone has something to do that requires their unique strengths. Mall-rat Trivia: Teams answer trivia questions about different brands, stores and other interesting hotspots within the hunt zone. Viral Video: Creativity abounds in these projects. Teams complete the cat walk challenge, fashion critiques, and movie reenactments to name just a few. Rendezvous Challenges: Our facilitators are tucked away in hidden corners of the mall, waiting to give teams some fashion-themed challenges. Scoring (5 minutes) Teams reconvene at the starting area, and scores for the team building scavenger hunt are announced and celebrated. Wrap-Up (10 minutes) We end with a fun closing activity and a great group picture. Have fun as a team. 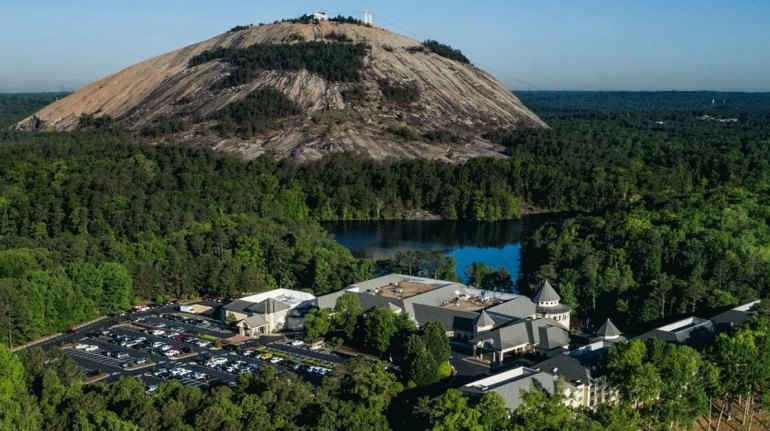 Enjoy a hunt and a meal in an all-in-one location. "We had an absolute ball!!!! Best event ever."